Heading out this summer? 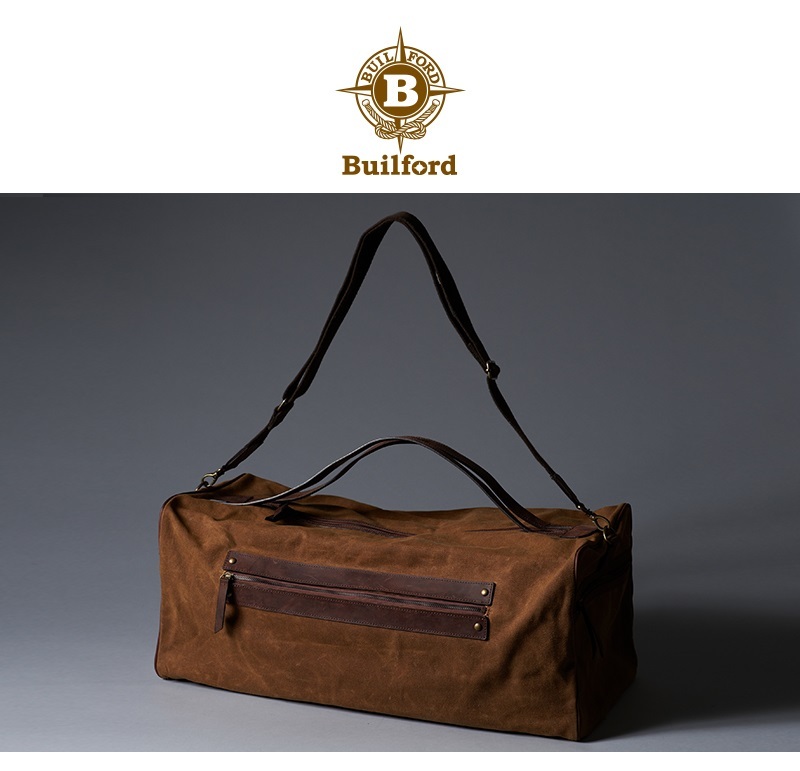 This weekend waxed canvas duffle from Builford is a great choice for shorter trips. If you pack light, it’s good for a week to ten days. I mean, who really needs a lot of stuff for the beach, right? But it can also be a great option for shorter family trips! Why Choose a Waxed Canvas Duffle? Rolling suitcases are great for flights. They’re easier to carry for long walks and transfers. But duffles are good for road trips, for carry ons, and more. The Builford Weekend Duffle is especially excellent for, well, weekend trips! With an inner separator and two large end pockets, there’s more than enough space. It has two sturdy leather handles or a padded shoulder strap for ease of carrying. A waxed canvas duffle will be more durable over time than nylon. It is a bit heavier because the material is thicker, but this waxed canvas duffle also holds its shape better. If you do need to check it — and I have — it comes out the other side intact. Inside and out! The Builford weekend waxed canvas duffle is a bit more heavy duty. If you’re looking for something even lighter, the Builford Travel Duffle Bag is a good choice. This sleek bag still has a good inner capacity and strength. Stuff it with your sports equipment, the beach gear, and more! There’s something informal and freeing about a duffle. It doesn’t say “I’m on vacation” like rolling suitcase, but I like that. I’m just relocating, just moving home for a few days or a few weeks. It’s not a big thing, it’s part of a lifestyle. For me, that’s what a duffle says. This year until December, Builford is a running a special promotion on worldwide shipping. If you buy a waxed canvas duffle now, you can use it for all your short trips this year, and many years to come! Head on over to www.builford.com and get your ticket out today. Share the post "Getting Away? Try This Waxed Canvas Duffle"
Posted in Blog and tagged builford, Builford Duffle Bag, builford travel bags, duffle bags, travel bags, travel duffle bag, waxed canvas duffle, waxed canvas travel bag, weekend duffle. Bookmark the permalink.